August is National Picnic Month. The occasion encourages people to go outdoors and celebrate the warm summer days with their family and friends while enjoying tasty food and refreshing drinks. Picnics provide an opportunity to bring people together to enjoy meals in beautiful surroundings. The tasty food can be enjoyed whether on your favorite picnic table or a blanket on the grass. The word “picnic” or “pique-nique” originates from France and comes from the word “piquer.” While it means to pick food, the “nique” means something small. However, the idea of eating outdoors and sharing food with people dates back to medieval times (5th to 15th century) in England. Having a picnic at that time involved lavish feasts by the rich. These feasts were held after hunting trips. Banquets held during the Renaissance era (14th and 17th centuries) were also credited for having laid the foundation of the outdoor dining experience that we enjoy up to now. It is said that Europeans were the pioneers of picnicking. 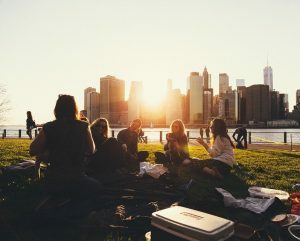 Moreover, history shows that picnics also came from “potlucks” where each person in a group contributed a dish or two that were served on a picnic table for everyone to enjoy. 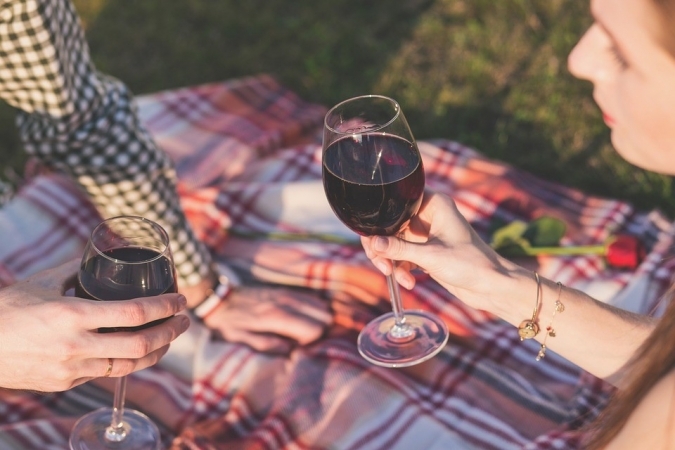 This National Picnic Month, take your family or friends to a nice outdoor spot where you can spend time together relaxing, enjoying the scenery and each other’s company, and sharing delectable food and refreshing drinks! Going on a picnic lets you take a step back from the hustle and bustle of life. It is the perfect way to unwind. However, if you take a lot of time preparing numerous dishes and you bring in a lot of other things, you defeat the picnic’s purpose. Picnics are meant to be kept simple. Some of the more notable food items to bring are finger food, some sugar cravings you’d prefer, and of course those liquid refreshments! Don’t forget picnics are also about locations! Beautiful scenery adds up to enjoying the food. But it is equally important as well that you leave the place as you found it. Don’t forget to tidy up! As we celebrate National Picnic Month, let’s not neglect our veterans. Let’s use the occasion to honor the sacrifices they made to defend our freedom and keep our nation safe. An easy yet potent way to give back to our nation’s living yet unsung heroes is to donate a vehicle to Veteran Car Donations. You can donate a car, SUV, motorcycle, truck, boat, camper, or even farm equipment. It does not matter what type of vehicle you donate because we accept nearly all types of vehicles regardless of their age and condition. This means we can accept even non-running and damaged vehicles. We auction off the vehicles donated to us. The proceeds are used by our nonprofit partners to deliver essential services to destitute veterans and their families. The services and benefits they receive include job training, mortgage-free and custom-made homes for homeless and disabled veterans, physical and mental health care, counseling and therapy sessions, education scholarships, and financial support to the spouses and families of fallen heroes. To know more about Veteran Car Donations and our donations process, feel free to call our toll-free 24/7 hotline 877-594-5822. You can also visit our FAQ’s page or contact us online. You can make your car donation by filling out our online donation form. We accept vehicle donations anywhere in the United States since we have car donation programs in all 50 states. On National Picnic Month, let’s remember that we have impoverished veterans and their families in our own community who do not have the means to hold even such a simple event as going on a picnic. While we laugh and have a good time enjoying the company of our friends and family at the picnic ground, let’s give a thought to our nation’s heroes. Donate a vehicle to help ease their plight. Call us at 877-594-5822 and get maximized tax deductions, free towing services, and other rewards for your vehicle donation to Veteran Car Donations!